The Australian Warbirds Association is a non profit organisation that brings together aircraft owners, operators, restorers, maintainers, historians and enthusiasts to share their passion for ex-military aviation. Aviation Insurance Brokers are proud to be partners with AWAL to assist their members with their insurance needs. We are experts will Hull and Liability Insurance on your fixed wing Warbird aircraft for flight, taxing and ground risks. With over 120 years combined experience as pilots, aviation enthusiasts, insurance underwriters and brokers we can tailor the best insurance package that meets your individual requirements. 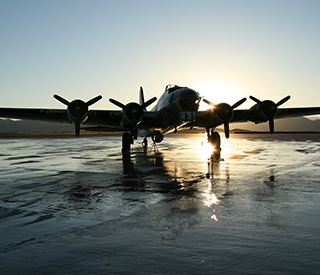 We are happy to help all Australian Warbird members with their aviation insurance needs. Aviation Insurance Australia is the country’s leading independent aviation insurance & helicopter insurance broker providing specialist insurance assistance to a wide range of aviation clients. With over 120 years combined experience as pilots, aviation enthusiasts, insurance underwriters and brokers we can tailor the best insurance package that meets your individual requirements. If a loss adjustor is appointed we shall pass on your contact details and co-ordinate meetings. In the case of a major loss, we can attend the initial meeting with the loss adjustor if you wish us to. Provide details of the claim(s) to your new insurance broker so that they may continue to negotiate settlement on your behalf. Contact us as soon as possible if you need cover for a risk or property that is not insured. If you need immediate cover, we can usually obtain a Cover Note (which is generally valid for a month or less). To arrange this, we will need details of the aircraft or risk and all other information which you need to disclose to the insurer. We will then send you a proposal for completion. You will need to complete and sign this and return it to us as soon as possible and before the Cover Note expires. We will give you at least 14 days notice of expiry of any insurance contract which we have arranged or last renewed for you. At that time we will send you an offer to renew the insurance contract. For more complex insurances we will renew the insurance after we have considered whether it meets your needs. In some circumstances we may be able to arrange for the insurer to cover you temporarily before renewal instructions are received, but we cannot guarantee this. We will notify you when renewal has been effected. If you arranged or renewed insurance through another broker, we will not be responsible for notifying you of expiry or arranging renewal unless you ask us to do so. You should carefully monitor and review that your insurance policy is adequate to cover your assets or business activities. If you want to vary any cover, eg by increasing the sum insured or adding another aircraft, please provide us with details of the changes you require and any other information you need to disclose to the insurer. We will then arrange the amendment with the insurer and provide you with written confirmation.